A fast-paced and riveting crime novel and the first in a new Brighton-set police procedural series featuring PC Gareth Bell. Perfect for fans of Peter James. PC Gareth Bell watches the psychopath who stabbed Bell’s partner stroll out of court a free man. Somebody on the inside tampered with the evidence, and now one of Brighton’s most dangerous criminals is back on the streets again. 🙌🏻 Whoop! Whoop! 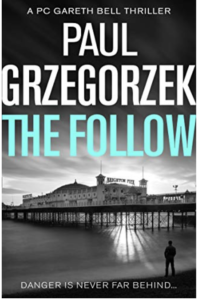 🙌🏻 I am over-the-moon to be sharing my review of Paul Grzegorzek’s THE FOLLOW today – I am a MASSIVE fan of this author and just want to thank Killer Reads for the ARC proof. So let’s do this, peeps! Set in Brighton/Hove, the reader is faced with corruption, loss, anger, retribution, drugs, organised crime, morality & ethics, and a search for justice. WOW! WOW! WOW! 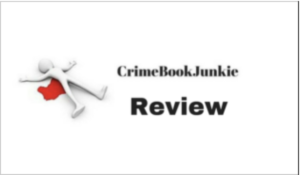 This entry was posted in Book Reviews and tagged #ActionPacked, #Crime #Twists #Murder, #CrimeFiction, #CrimeThriller, #Emotive, #Gritty, #KillerReads, #Murder, #PoliceProcedural, #Series, #Suspense, #Thriller, #Twists by crimebookjunkie. Bookmark the permalink.